BJ Jones, Northlight Theatre’s artistic director, talks about the the proposed project in downtown Evanston. Members of the Economic Development Committee voted to approve an amended resolution concerning the construction of a building that would house the theater. Economic Development Committee members narrowly voted to approve an amended resolution concerning the construction of a building that would house Northlight Theatre at a meeting Jan. 31. Committee members voted 4-3 in favor of the amended resolution, which removed language specifying the proposed location in the 1700 block of Sherman Avenue and authorized the city manager to investigate how a “single purpose unit of government” and public parking could support the return of Northlight Theatre from Skokie. In 1996, the Illinois General Assembly created a unit of local government to finance and enable the construction of the North Shore Center for the Performing Arts in Skokie, according to city documents. The center is where the theater is currently housed. In September, Farpoint Development proposed the building which would include Northlight Theatre, a boutique hotel, a restaurant, residential units and parking spaces. At the meeting, Ald. Ann Rainey (8th) said she would like to receive more information about how such a government entity could help finance the Northlight project, and especially whether it would benefit other projects in the city. City manager Wally Bobkiewicz said he wanted permission to investigate, not take action on, whether Northlight could finance itself in a way similar to how Skokie funded its facility. More than 20 residents raised concerns with the resolution at the meeting. Several said they were worried about the transparency of the project and whether it would compromise the identity and personality of Evanston. Additionally, residents noted the possible loss of many local businesses to the construction. Peter Demuth, vice president of the Southeast Evanston Association and a small business owner in the 1800 block of Sherman Avenue, said at the meeting that while he supports the restoration of Northlight Theatre, he opposes constructing the high-rise building that would house Northlight. Ross Martens, co-owner of Alley Gallery, told The Daily that a petition opposing the tower and its location addressed to City Council had been circulated on change.org. As of publication, the petition had over 2,500 signatures, including people from outside Evanston. 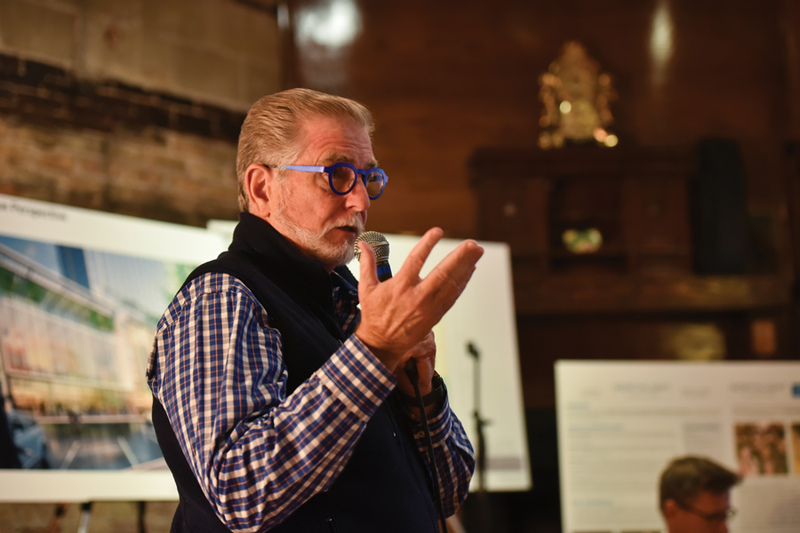 Craig Smith, a board member of Northlight Theatre, told The Daily he is not sure why there was so much hostility towards the development, since he thought it would be a positive for the city. After the meeting, Martens said he felt uncertain about the committee’s decision.